This is the second post in my series of “Paper Quilling for All Budgets”. The first in the series was how to start paper quilling for free. Click here to read that post. This post will cover the basic tools you’ll need and want if you have some money to spend for paper quilling. The next post in the series will cover the extra, more “extravagant” and fun tools that you can get. To start, you’ll want some tools! I like to have in my toolbox: a basic metal slotted tool, a soft grip slotted tool, a needle tool, fine tip scissors, and fine tip tweezers. I have covered what these tools look like and which ones you can choose from in this other post. I find that having this variety of tools gives me the flexibility and ease to create the designs that I want. If you are JUST starting and you want just ONE tool, I would suggest a soft grip slotted tool. You can purchase pre-cut paper quilling strips from several companies. They are not very expensive when you consider the cost per strips and how many strips you use per project. You have two choices. You can purchase them in variety packs where you get several colors in one pack, or you can purchase each color separately. If you are just starting out and you want to try many colors without spending money on each one, go with variety and assortment packs. If you have the money to spend, the room to store them, and you know you’ll want to have each color, then go for the single color packs. I started out using variety packs, and then gradually went to single color packs as I used up the variety packs. I find it a LOT easier to use the single color packs because you can just pull out the number of pieces you want to use and keep the rest in the package. (here’s a post about how I store my papers). With the variety packs you have to take the whole thing out of the package to pick out the pieces you want to use. If you want to start with just ONE pack of paper, I suggest the multi color pack with 25 colors . A workboard is necessary for quilling so that you have a place to rest your designs while working on them so they don’t stick to a surface. You can also pin it in place if it needs to be. There are two types that you can purchase. One is made of corkboard (find it here on Amazon) and the other of a dense flexible foam. I use a corkboard workboard that I bought more than 10 years ago and it is still in great shape! I replace the plastic around it every few months (I just use one of those plastic page protecting things you can buy at any stationary shop) because it gets a lot of pin holes in it. But the board itself does not need to be replaced anytime soon! I have personally not use a dense foam workboard so I cannot comment on how long lasting they are. They are nice and lightweight, though! If you don’t want to get a workboard right away, you can use a piece of thick styrofoam to pin your designs to, with a plastic sheet pinned on top of it. Many different glues will work for paper quilling. Here is a post I wrote about some that I have used. You can start with a specialty craft glue, or you can start with any paper glue that you have around the house already. There are two basic types of circle sizing guides that you can purchase. The most popular is a little workboard that has a plastic template glued to the top of it with different circle size holes in it. Most quilling companies have one of these types. Some have a cork base (here and here in the US), others dense foam (here in the US). The other looks like a little ruler but has the hole shapes in it (here in the US). You can use it by itself or you can pin it to the top of a workboard to use it. I like to use the ruler one for traveling, and the board one for home. The benefit of the board one is that it is already attached to a workboard and it has several of each size circle. The ruler has only one of each size circle. Some companies also have a larger template that is not attached to a workboard so that you can choose to put it on your workboard or leave it off to use y our board for other designs. If you have all of the supplies above you’ll be able to do your paper quilling easily, without the stress of not having the right tools and without spending time cutting your own strips. Although you will have to spend some money up front for the tools, it is not nearly as expensive as many crafts out there! And the tools that I’ve seen are quality products that will last you for years and years! You can find the above mentioned tools and supplies at many online paper quilling stores such as Custom Quilling. 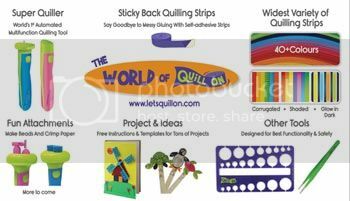 Click here to view my page which lists online shops in countries all around the world that sell quilling supplies. Click here to view free quilling tutorials! Click here to view more quilling tips and tricks, sorted by subject! Click here to view a list of places to buy quilling supplies, sorted by country! *This post contains some affiliate links. If you make a purchase through the affiliate link I get a small percentage. I only link to products that I use and love. Thank you for supporting my blog! 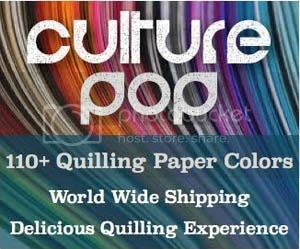 PreviousStart Paper Quilling for FREE! NextStart Paper Quilling – The Fun Stuff!